Millions of citizens around the globe enter into their vehicles each morning to traverse to and from work, school or the supermarket, so inevitably some of these journeys result in an unexpected car accident. Below are five of the most common types of accidents to watch out for. The Washington Post reports that about 1.7 million rear-end accidents happen every year in the United States. These accidents happen when one vehicle rams into the back-end of another car, and it’s often the result of being distracted, following too closely to a vehicle or speeding. Thankfully, technological advancements have given rise to new rear-collision avoidance systems. These systems are still relatively new, but many experts are arguing that such technology could drastically reduce the prevalence of these all-too-common accidents. Fault is oftentimes assumed in rear-accident collisions, so enlisting representation for your car accident case is advised when you find yourself in a similar accident. Single-vehicle crashes account for an overwhelming majority of fatal accidents across the country. Single-vehicle collisions are most commonly the result of excessive speed, distracted driving, driving while intoxicated, mechanical failure or simply veering off the road and colliding with another object. 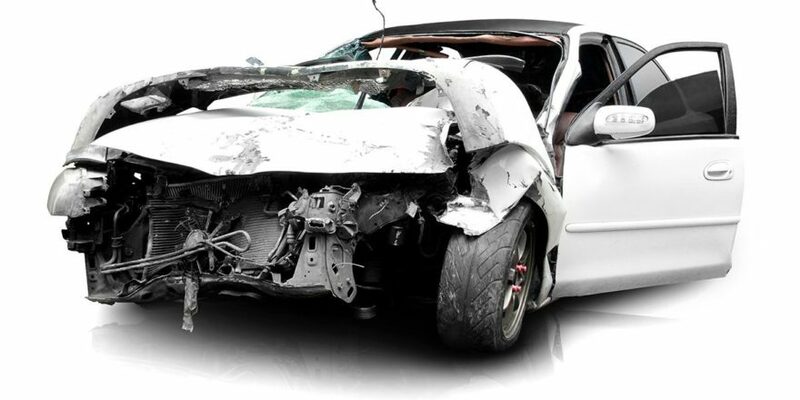 The Automotive Training Center explains that most high-speed car crashes end when the vehicle collides with a stationary object rather than another vehicle. Fast traveling vehicles that make impact with objects like guard rails or trees usually suffer extensive damage, and the vehicle is oftentimes reduced to a crumpled pile of metal. Sideswipe accidents happen when one driver makes impact with the side of another driver’s vehicle while going in the same direction. Usually, the offending driver is either attempting to merge into another lane or inadvertently weaving out of their lane. When the driver is attempting to merge over, this collision is caused by a failure to maintain an awareness of other vehicles. It’s a very common mistake for drivers to neglect their blind spots. Usually these types of accidents are minor and the driver can correct himself before causing further damage, but they can become serious when a sideswipe happens at high speeds. Side-impact collisions occur when one vehicle smashes into the side of another car. These accidents most frequently occur when one of the drivers fails to stop and give the other driver the right of way at an intersection, traffic light or stop sign. These types of crashes are often called a “T-bone” accident, and they are extremely dangerous because the point of impact is usually directly where people are riding. The most common cause for this type of accident is a failure to obey traffic laws. Surprisingly, slow-speed crashes are one of the most common types of traffic accidents. These types of accidents occur when one vehicle is traveling very slowly and bumps into another object while going less than ten miles an hour. These accidents are much more likely to occur in parking lots and involve pedestrians. Sometimes, the driver is reversing out of a parking spot and doesn’t see the object they collide with until it’s too late. Other times, drivers make impact with a parked car. Rear-end, single-vehicle, sideswipe, side-impact and low-speed collisions are five of the most common types of accidents likely to occur on the road. Unfortunately, there are many other types of motor vehicle accidents that happen each day, and the consequences of these crashes are, in some cases, severe. The best defense you have in avoiding an accident is to remain vigilant about your surroundings and continuously obey all traffic laws. Safe driving!